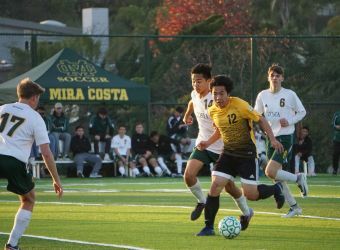 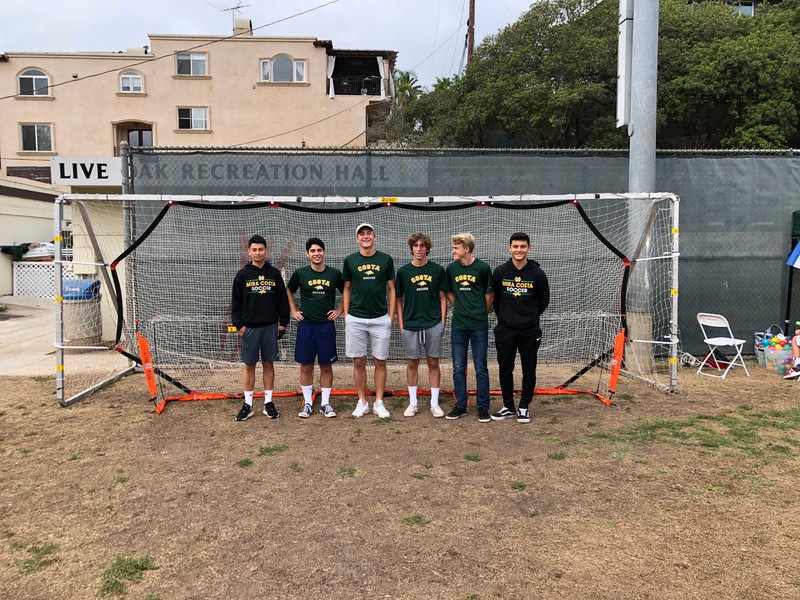 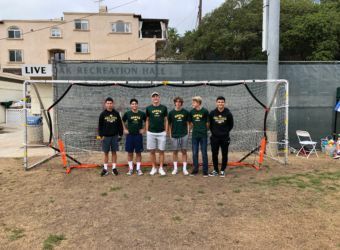 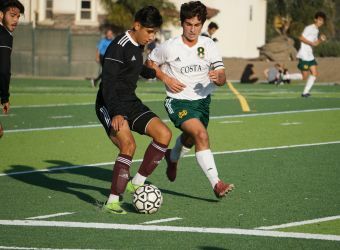 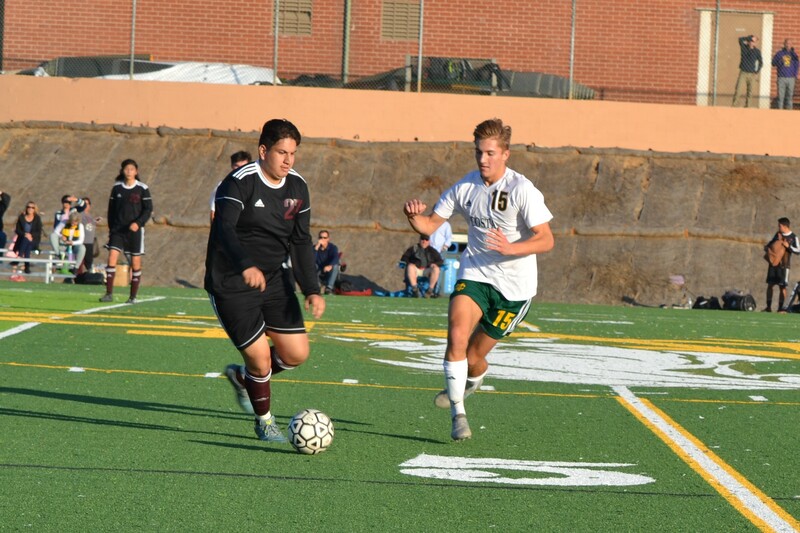 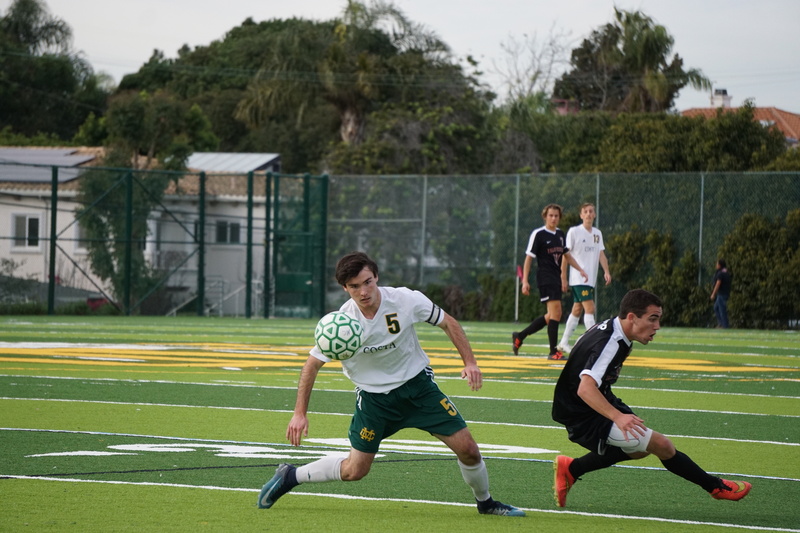 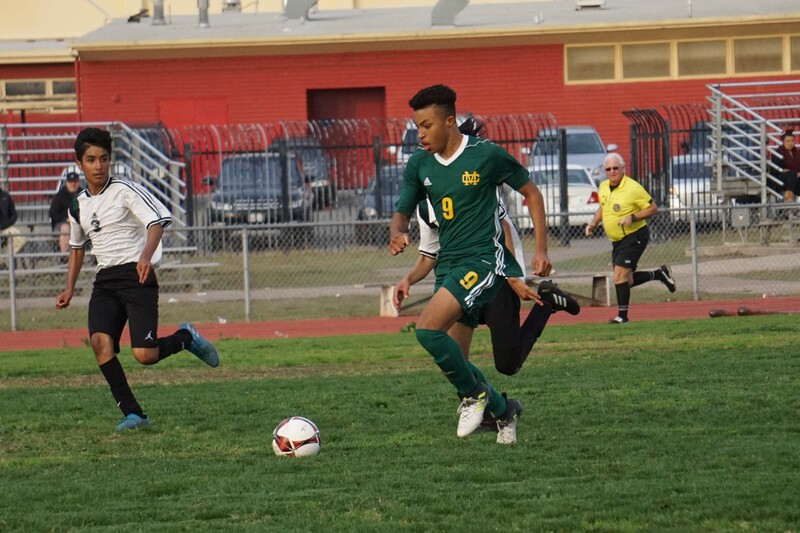 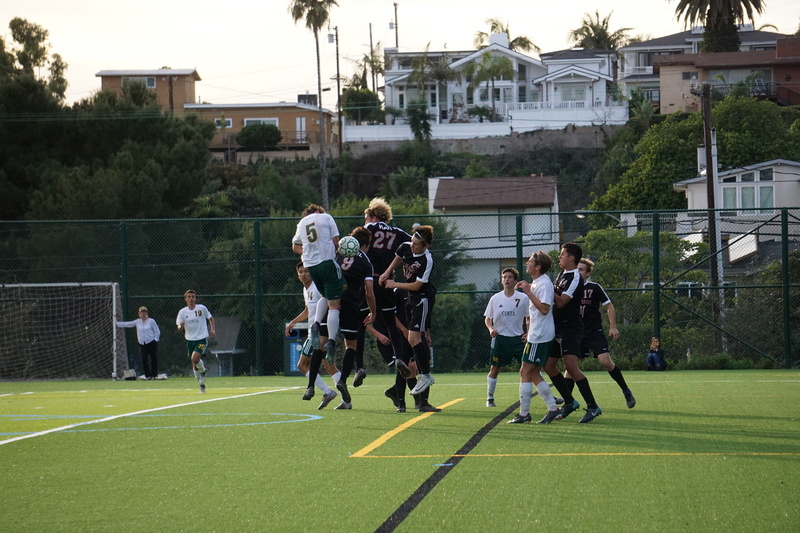 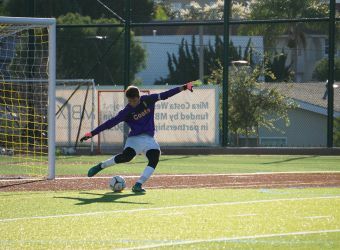 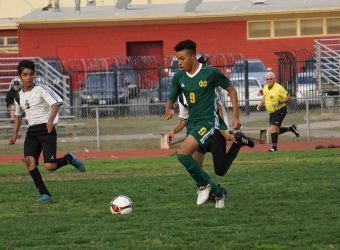 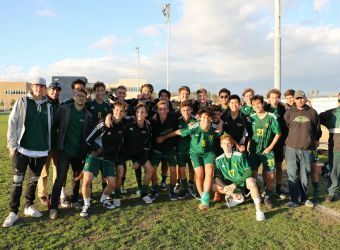 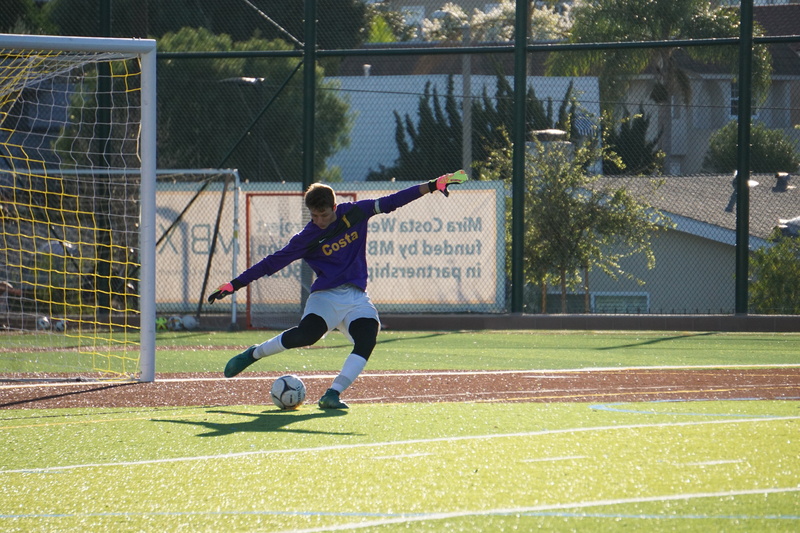 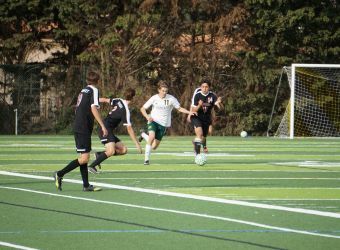 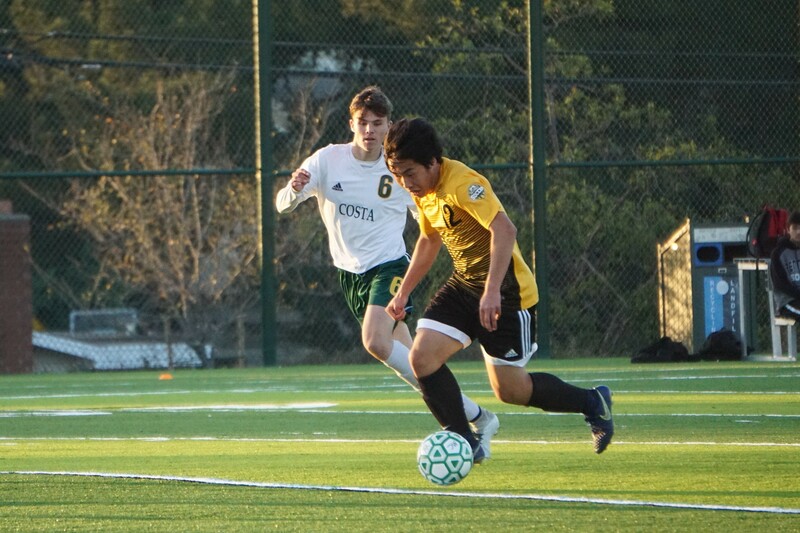 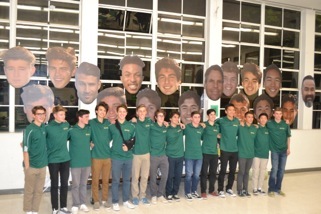 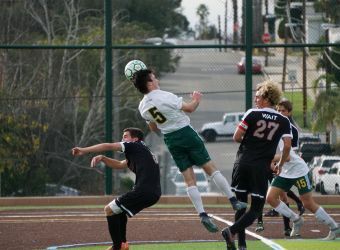 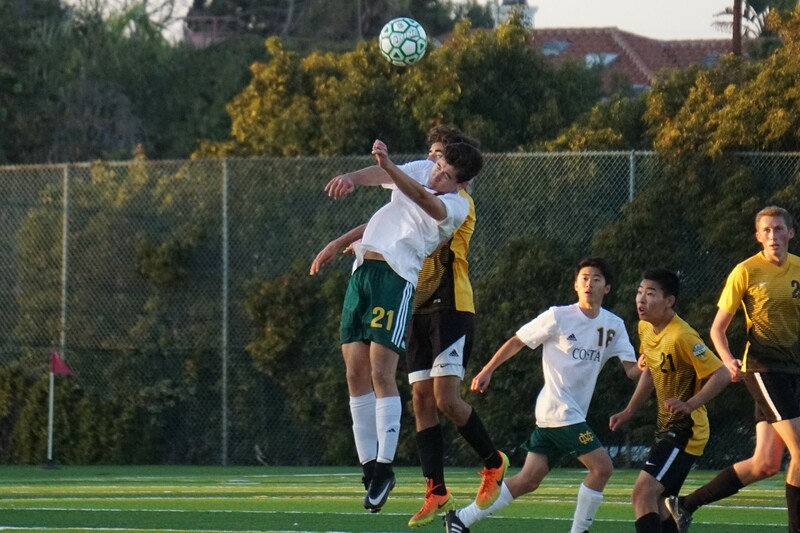 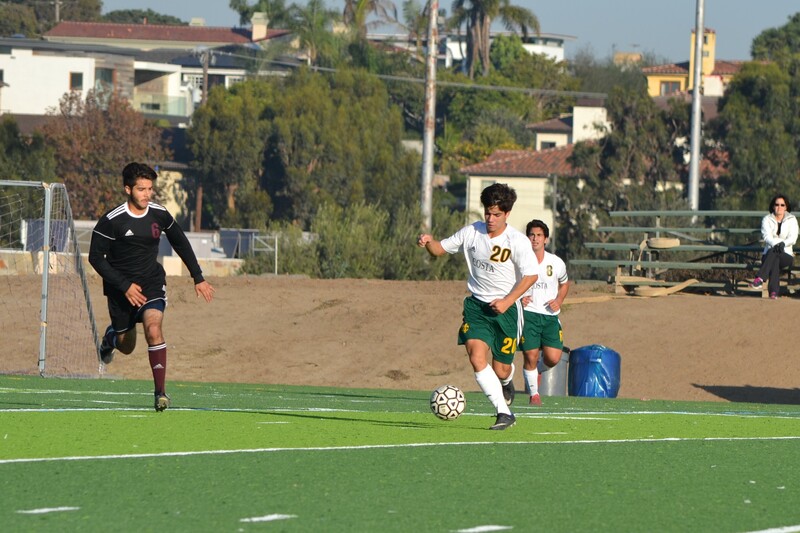 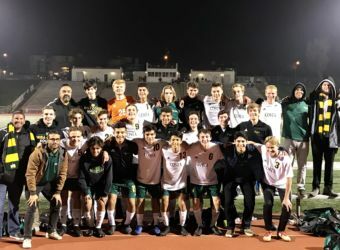 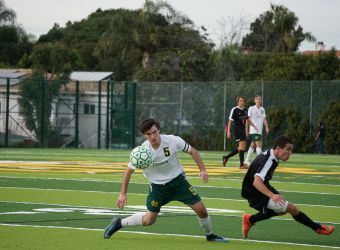 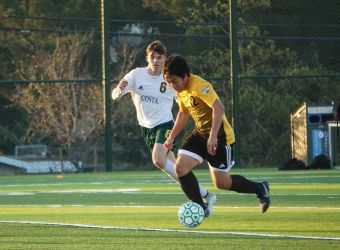 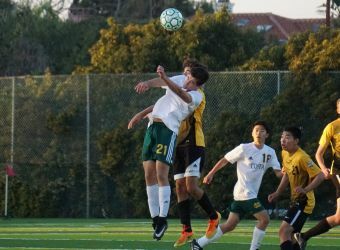 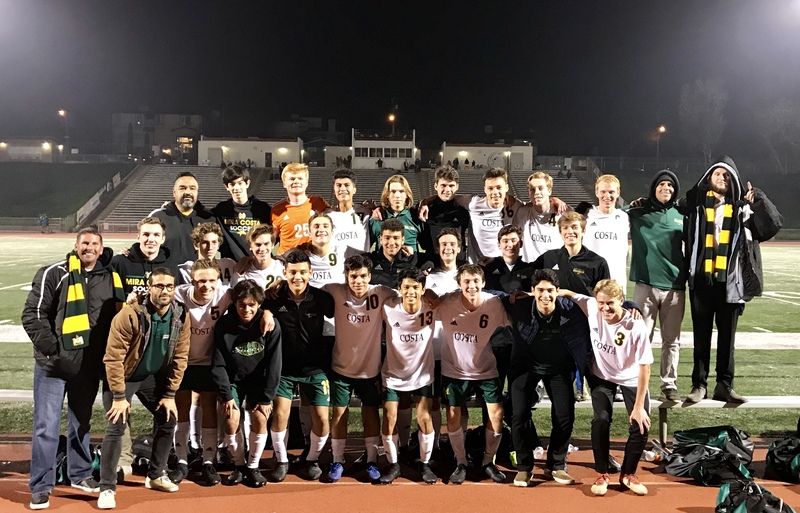 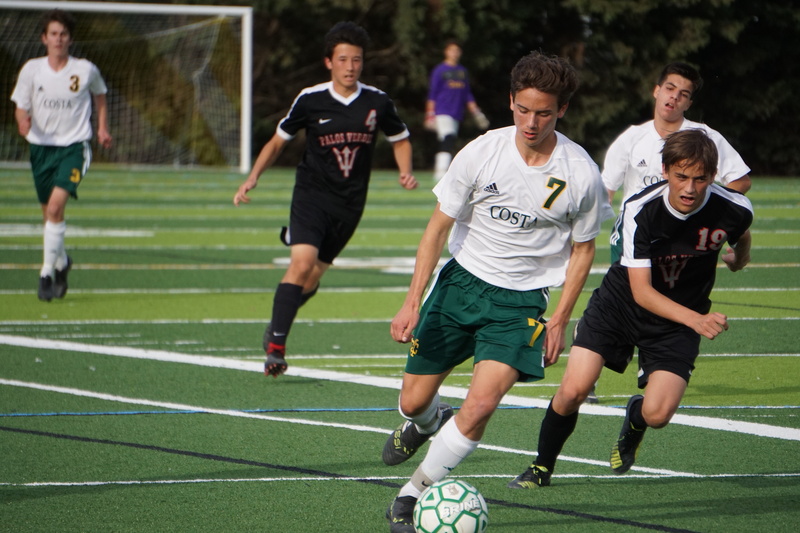 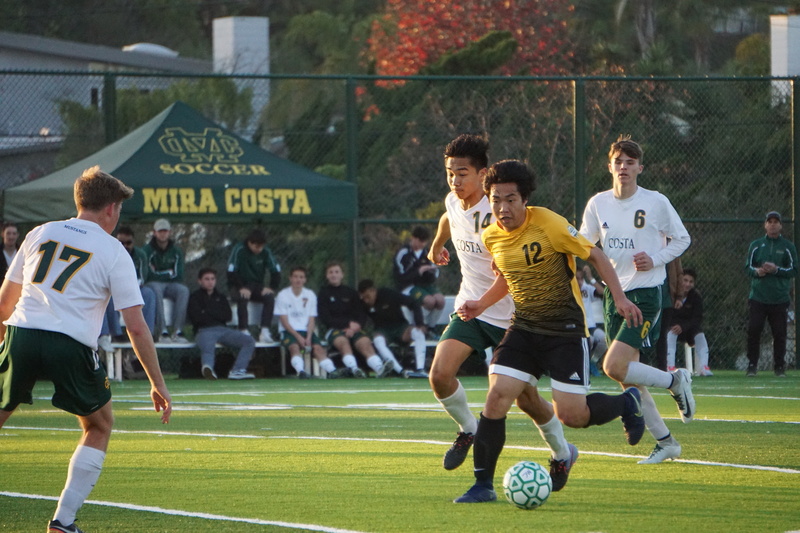 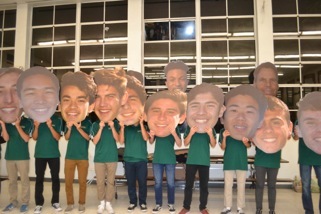 The Mira Costa Boys’ Soccer program consists of 3 teams; Frosh/Soph, Junior Varsity and Varsity. 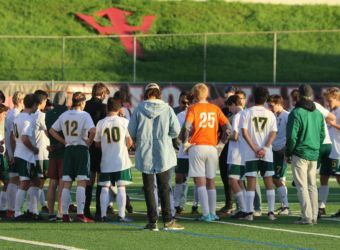 Each team has a maximum of 20-22 players. 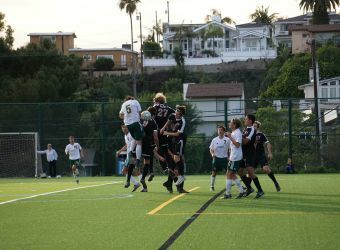 It is a winter sport and the official season runs from mid-November to mid-February. 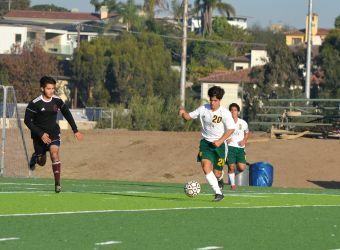 For Varsity, the CIF play-offs can continue through the first week of March. 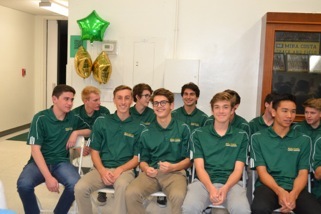 The Boys’ Soccer class is a full year. 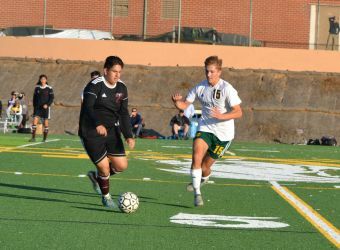 The players are required to be in the pre-season training class or participating in a fall sport. 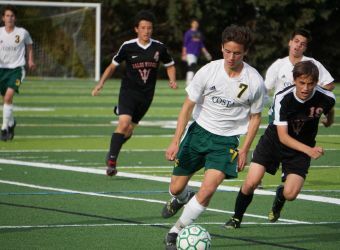 In the post-season, the players may join another sport or remain in the soccer class. 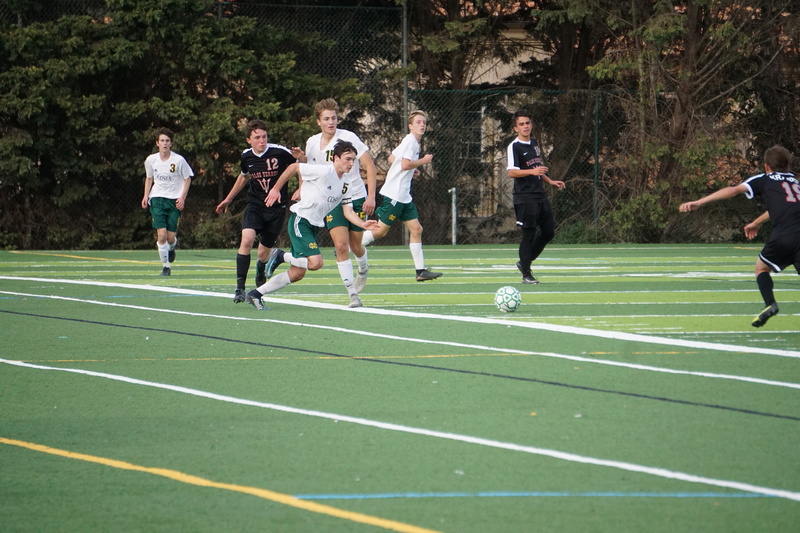 During the season, practice runs from 2:00-4:30. 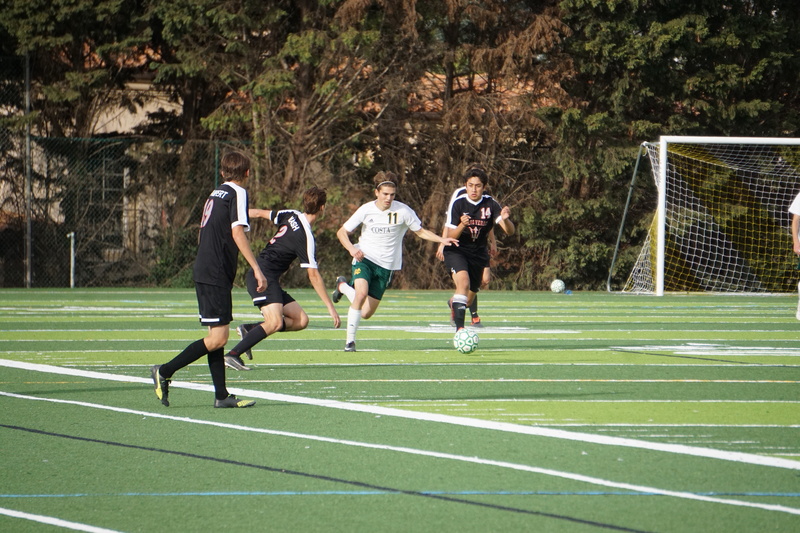 Varsity and Frosh-Soph games are usually at 3:00 and JV games are usually at 4:30. 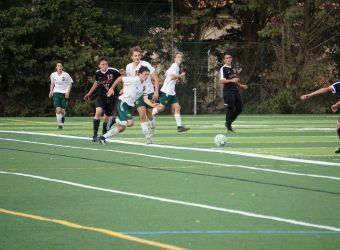 The out of season class runs from 2:00-3:00. 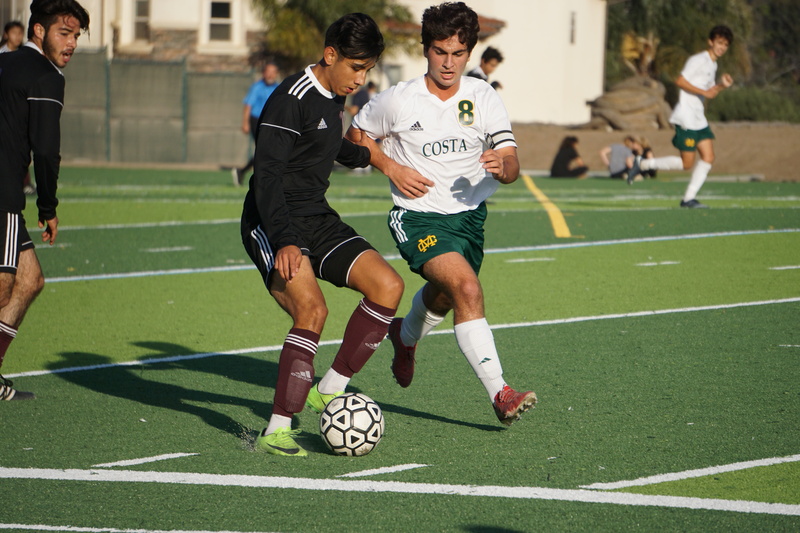 There are 3 try-out periods for interested new players; a 6 week summer school class, a 5 day after school try-out in early September, and the last chance is a 5 day after school try-out in early November. 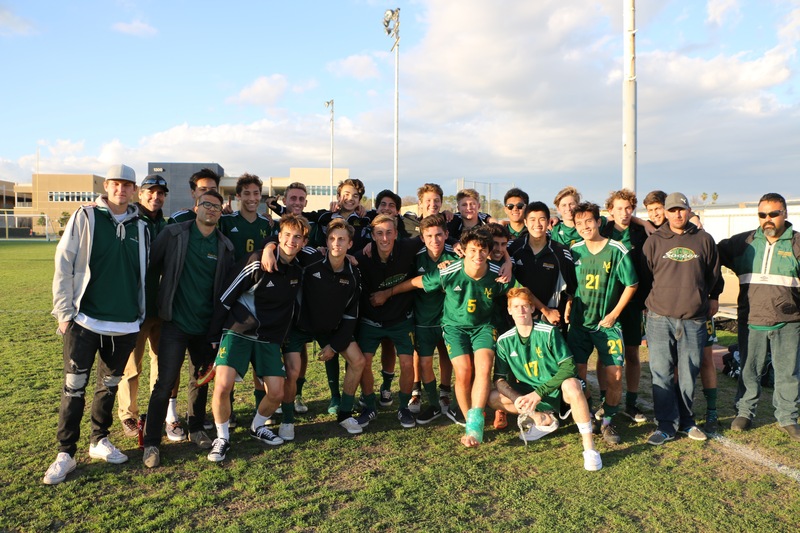 Boys’ Soccer continues season undefeated!